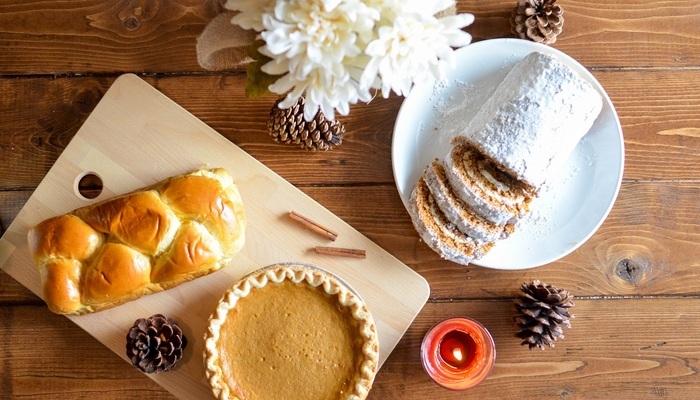 Friendsgiving is a wonderful way to bring loved ones together for a fun, stress-free holiday. This new take on Thanksgiving has been gaining popularity in recent years, and is often hosted slightly before or after the official Thanksgiving date. If you’re planning to open your home for Friendsgiving this year, you may be wondering about the best crowd-pleasing recipes to make. Here, we share a few of our favorite options that are hearty, comforting, and perfect for serving to a diverse group with varied tastes. A warm, savory dip is the ideal appetizer to set out before the main course arrives. This recipe for hot spinach dip is packed with several types of cheese and a generous amount of fresh spinach. It’s vegetarian-friendly, and is best served with sliced baguettes or crackers. Honey-glazed turkey with sage and roasted garlic is bursting with flavor and a great take on the classic Thanksgiving turkey. This recipe calls for a brine, ensuring tender, juicy meat with a crispy exterior. For best results, serve with warm gravy and honey butter rolls. Mashed potatoes are a staple on the Thanksgiving table, but you and your friends may be burnt out on this traditional holiday fare. For Friendsgiving, mix it up with scalloped potato gratin. This potato dish is creamy, cheesy, and an awesome choice for serving this holiday season. Looking for a twist on the classic green bean casserole? You and your guests will love these individual casseroles in golden, flaky Pillsbury crescent rolls. You’ll only need 10 minutes of prep time to whip up these delicious mini casseroles, and their unique flavor and presentation are sure to be a hit at the dinner table. Dessert is often the most-anticipated part of a Friendsgiving celebration. Pumpkin cheesecake bites are simple to make, and they’re the perfect bite-sized combination of two beloved desserts. The creamy pumpkin filling and white chocolate coating will please most palates, and they’re available in small portions so guests can grab as few or as many as they’d like. No baking is required: simply prep and freeze. If you’re looking forward to hosting this holiday season, you may be on the search for a luxury apartment home in a quiet setting. VerraWest offers modern amenities in peaceful Longmont, and we offer several floor plans so you can find the ideal fit. When you’re ready to explore our community, take an online photo tour or reach out to our leasing team for a showing.